In making this piece of work, I have used a restricted palette of colours to accentuate the textures and structural form of the design. 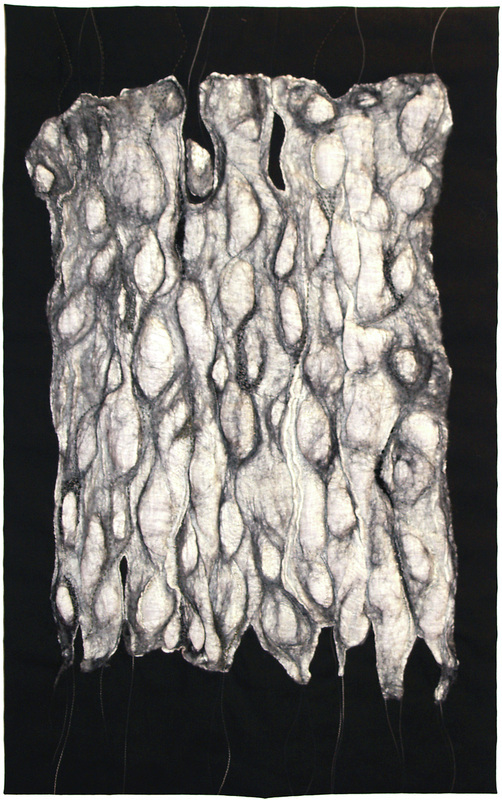 I am constantly fascinated by the organic shapes and textures in the natural world, particularly tree bark, which was the inspiration for this piece. 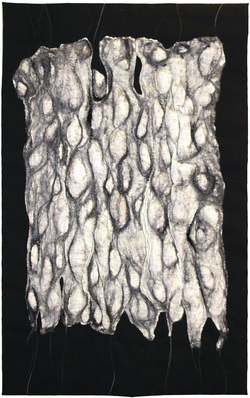 Handmade nuno felt, linen, cotton. Hand applique, hand and machine quilting. Embellishment.